2016 was the hottest year on record: what does this mean for species? NASA have announced that 2016 has become the third year in a row to set a new record for the year with the highest global average surface temperature. WLT examines observations of unusual weather patterns in project areas, which could have been caused by climate change, by speaking to overseas partners. WLT has been asking rangers from the Keepers of the Wild program to report on any extreme weather conditions or changes in ecology which could be due to climate change. As many of the rangers have patrolled the reserves through the seasons for years, their observations are extremely valuable for the perspective they provide on the possible effects of climate change and 2016’s extreme El Niño on species conservation. WLT’s projects in Latin America were particularly affected by the 2015-2016 El Niño, which was the strongest since 1997. El Niño is the warming phase of the global climate phenomenon known as the El Niño Southern Oscillation (ENSO), which affects temperature, rainfall and storm patterns, part of a climate cycle which occurs every few years, combined with La Nina (the cooling phase). It is thought that climate change may cause more extreme and less predictable ENSO events, which may in turn cause more disturbances such as Atlantic hurricanes. The 2015 and 2016 hurricane seasons were both particularly active, and WLT’s partner Programme for Belize was badly affected in August 2016 by Hurricane Earl, the deadliest Atlantic hurricane to affect Central America for more than ten years. El Niño also causes higher rainfall in some areas and more severe droughts in others, and these effects can be exacerbated by climate change. Several of our Keepers of the Wild in South America reported that the dry season was particularly harsh last year. René Rogelio Cartagena Ibaguari from Asociación Armonía in Bolivia said “Barba Azul Nature Reserve finds itself in the heart of the driest dry season in decades.” René reports that this makes preventing wildfires in the reserve much more difficult, “more than 1,000 man-made fires are started daily in the Beni Department alone, lit by ranchers to burn off the dead grass biomass to enhance the re-sprouting of grasses that are used as new forage for their cattle. 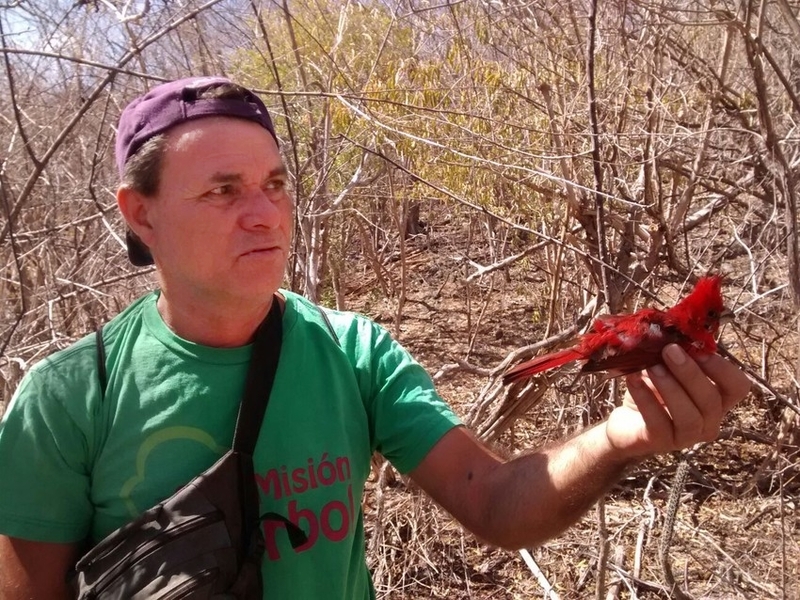 Asociación Armonía have just completed an appeal to raise US$20,000 for a deep well in the Red-fronted Macaw Community Reserve, which is still suffering from the drought. Pablo Antonio Millán, from Asociación Civil Provita in Venezuela, remarked “The dry season continued to be extremely harsh.” As Margarita Island has no natural water sources, the island’s community and wildlife are dependent on a strong rain season, or water has to be transported from the mainland. There have also been some changes in species composition within the Kinangop Grasslands which may be due to climate change. 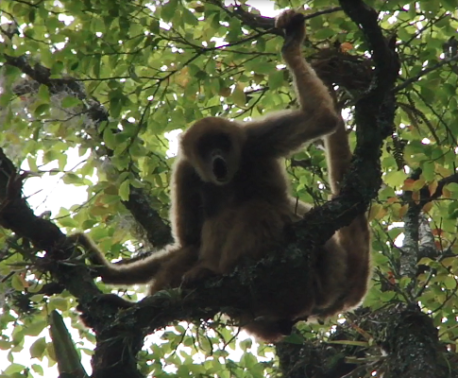 As temperatures increase, animal and plant populations adapted to a lower range of temperatures have already been observed migrating to cooler climes, either towards the poles or to higher altitudes (Ecuadorian partner Fundación Jocotoco have been acquiring land parcels to cover a range of altitudes to compensate for this altitudinal migration). Andrew has reported that species such as White Storks, which had not been sighted for many years, were seen searching for food in the area. 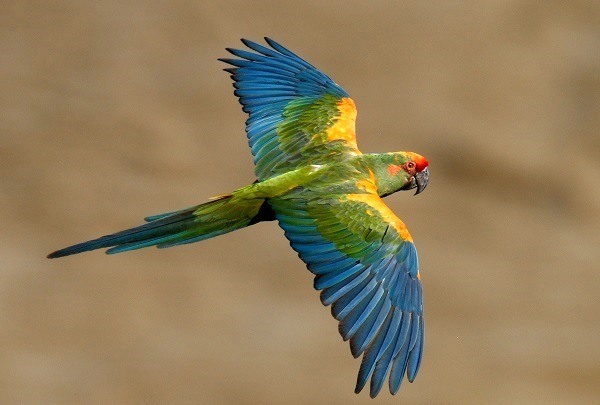 However, partners in Ecuador and Brazil noted an increasing severity in rainfall over the past few years during the rainy season, and as different ecosystems are responding to climate change in different and unpredictable ways, it will be impossible to predict all the ecological consequences. The two predicted consequences of climate change which are likely to affect WLT partners are climatic instability and natural disasters, such as hurricanes and wildfires. Recording observations from our Keepers of the Wild about changes in climate or species composition is important to keep track of how our projects are being affected by climate change. There are many serious impacts of a global temperature increase, including: a rise in global sea level; threats to food security; human health implications and a greater frequency of extreme climate events such as wildfires, droughts and hurricanes. Tropical ecosystems, including forests, act as one of our primary defences against climate change. Forests are inextricably linked to Earth’s climate, by taking in more carbon dioxide than they release trees act as ‘carbon sinks’, extracting carbon dioxide out of the atmosphere and locking it away. Through conserving habitats we have a twofold effect – firstly creating offsets and secondly by protecting vulnerable ecosystems. Preserving biodiversity is essential for ecosystems to adapt to climate change. Healthy and resilient ecosystems have a greater potential to mitigate climate change, being able to resist and recover from its effects more easily. ‘Offsetting’ or ‘balancing’ emissions is one of the three steps of World Land Trust’s Carbon Balanced programme. This initiative works by offsetting unavoidable emissions by protecting valuable carbon sinks in the form of biodiverse tropical ecosystems under imminent threat of deforestation or degradation.